All purpose art and craft light box. This portable light box feature a conveniently slanted 12"x18" acrylic work surface area illuminated by a 7500 hour, daylight fluorescent lamp (8w included with 225-365, 15w with 225-375). 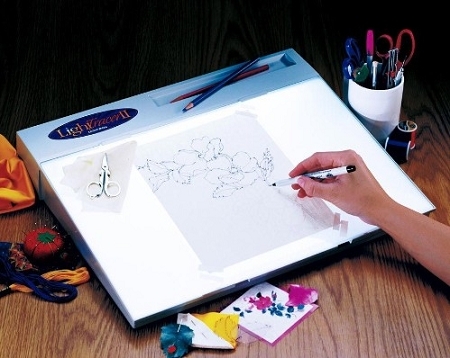 Offering a fast and easy way to backlight patterns and designs for a variety of tracing applications.